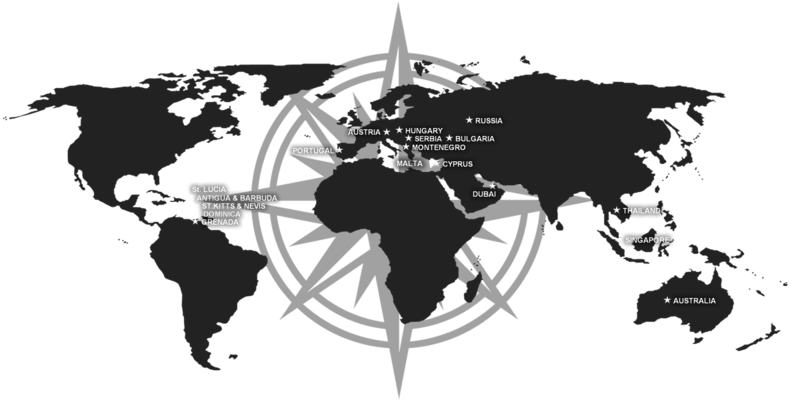 Global Office Locations | GCI - Global Citizenship Investment. We are the world's leading experts in advising foreign investors on Citizenship & Residency by Investment. Fill in the relevant fields according to your individual requirements - or simply provide your basic contact details and a short description of what you require. *This is not a valid input. *This field is required. *The text is too short. *This field is required.